Melosi, Martin and Joseph Pratt. 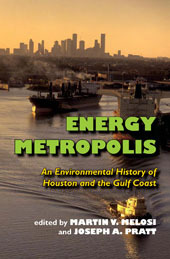 Energy Metropolis: An Environmental History of Houston and the Gulf Coast. Pittsburgh: University of Pittsburgh Press, 2007.